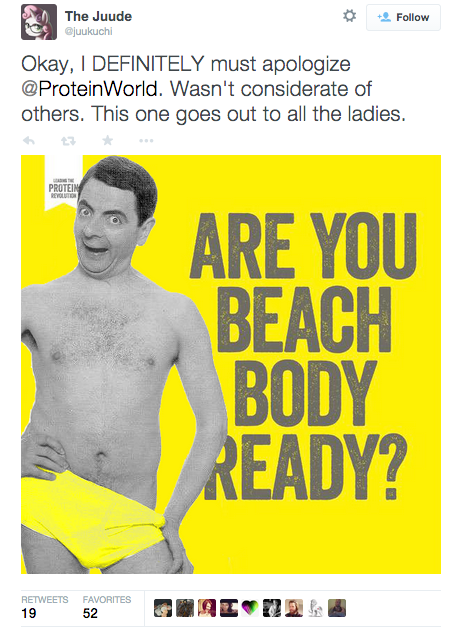 Is that Protein World campaign brand suicide or stroke of genius? Depends what side you're on, says Alex Smith, planning director at Sense. 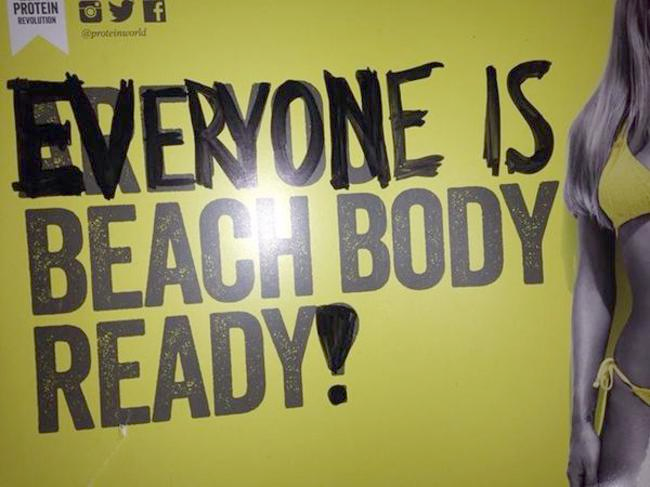 'Are you beach body ready' campaign - brand suicide or stroke of genius? The past four days have seen one of the most effective and innovative pieces of brand marketing in living memory. It has bred "brand fans" by the thousand in an age where that term is sorely overused, and exploded the brand’s social following. It has turned a £250,000 media spend into a viral phenomenon. It has made a little known brand a household name in the circles it cares about. It has reaped £1million in direct sales revenue. And it will win no awards. In fact, so polarising is the work that the brand is more likely to receive a letter bomb than a Lion – and therein lies its greatness. Reasonably uninspiring you might think, but I guess that all depends on your perspective. The perceived "fat shaming" inherent in the ad has outraged certain feminist groups and led to an attack campaign both online and at the poster sites themselves. So far so ‘PR disaster’, right? 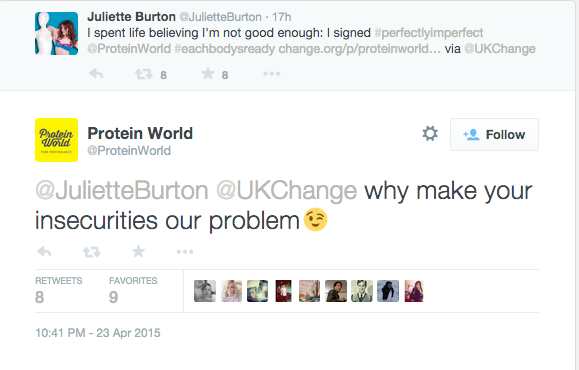 Not the way Protein World has handled it. Seemingly having swallowed whole the axiom that doing the opposite of what everyone else does is good marketing, it has chosen not only to avoid apologising, but also to go on the counter attack with an acerbic wit that is nothing short of shocking to anyone familiar with branded social content. 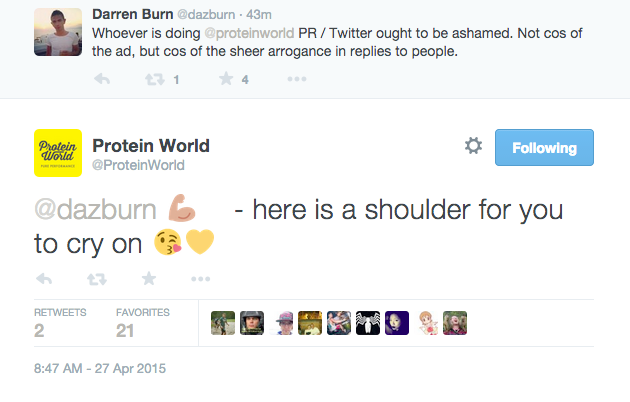 It’s at this point that it should be made clear that this article is not about the rights and wrongs of Protein World’s point of view. That has been covered amply elsewhere. This is about its brand strategy, which would be just as open for a brand that utterly opposed its position as it would be for one that shares it (though hard to imagine in this particular instance what brand that would be… Dove? Chips Ahoy?). What Protein World has done is become one of the first high-profile brands ever to show genuine integrity, and it is reaping the rewards. Now that might sound weird. ‘Integrity’ is, of course, a word that’s casually associated with ‘being good’, but in fact integrity only ever really has substance if it concerns a view that is dangerous to hold. ‘Being green’, for instance, is not an act of integrity – it’s preening, as who’s going to hate you for it or force you to back down? 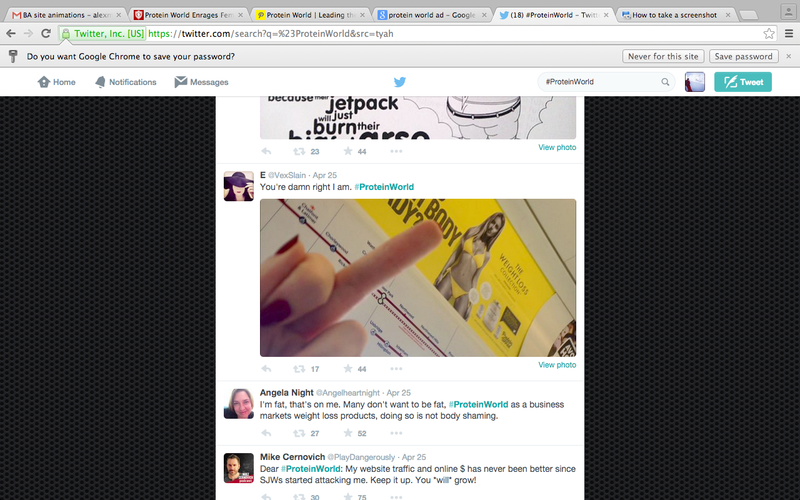 Protein World has paid a price, of course – it is now also hated, a claim that few brands can make nor would want to. It is, however, a calculated hatred, as those people out there who disapprove of Protein World’s brand of vanity-oriented self improvement are pretty unlikely to be purchasing its products anyway. In a world where brands are still living with a 20th century mindset of trying to be all things to all people, having particular character and meaning is an increasingly valuable commodity. Protein World has shown a way to develop that with a stick of dynamite, and the same approach is there for the taking for brands across the ‘values spectrum’. If you sit at the pole of a vaguely polarising issue, identify your ‘anti-market’ and attack it. 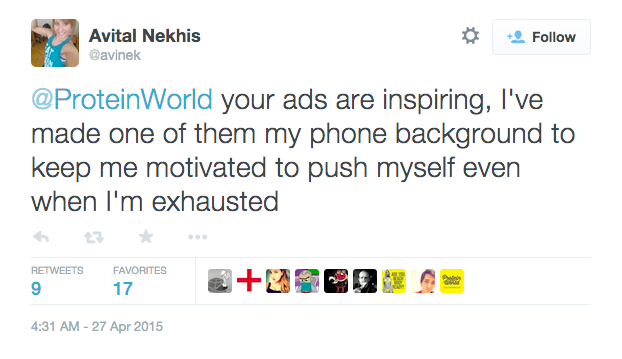 If possible, harness the trend of ‘cyber shaming’ and use it to your advantage. This approach will work particularly well for brands whose position hovers around the libertarian/conservative side of politics, as their ‘anti-markets’ are much better mobilised socially and capable of feeding those precious flames of scandal. You’ll lose no customers and become a champion for those who share your side of the issue. These are the polarising brands – strong stomachs, the capacity to be hated, and a pretty robust set of community managers. Expect to see more of them.